The possibility of trading airspace near village cores for further development rights in other localities was “just a concept” but appears to have gone down well with the government, according to the planning consultant who floated the idea. 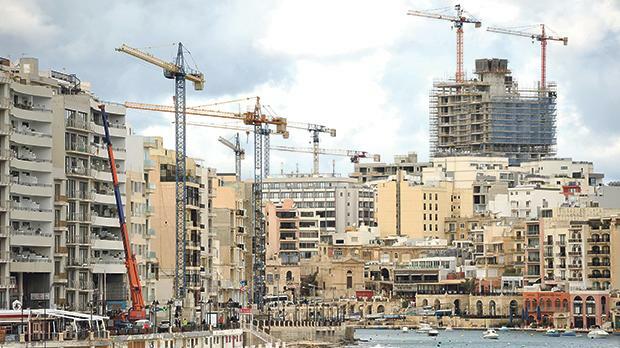 Stephen Farrugia told the Times of Malta developers wanted to trade development projects near quaint town and village cores for better deals on construction projects in other areas. The idea was suggested during a meeting between Prime Minister Joseph Muscat and the Malta Developers’ Association on Wednesday. MDA head Sandro Chetcuti said a new technical committee had been drafting proposals aimed at encouraging developers not to build in Malta’s remaining unspoiled urban areas. “Our towns and villages are disappearing and this is something we want to act against,” he told Dr Muscat, who welcomed the thought of an innovative solution for the construction lobby. Delving deeper into the proposal, Mr Farrugia, a former Malta Environment and Planning Authority director and a former president of the Chamber of Architects and Civil Engineers, said the issue of “stock trading” was based on a system used overseas to protect iconic urban areas from unwanted construction. In a nutshell, the proposal would see the airspace of a property near a village core purchased by a developer who would not build the permissible five storeys on that land. Instead, that development potential would be transferred to another project in a more built-up neighbourhood. Developers said the urban airspace could also be purchased and offset against dues on large construction projects, such as planning gains. Mr Farrugia said he had first explored the idea when he was reading for a post-graduate degree a few years ago. He had suggested the concept to a previous administration but said interest was minimal. The same, however, could not be said of Dr Muscat whose face, Mr Farrugia noted, seemed to light up at the mention of a planning solution. During Wednesday’s meeting, which the press was allowed to attend for just the first few minutes, Dr Muscat said he was not averse to the idea but added this would have to be studied and carefully thought out. Public consultations would have to be carried out and he urged other stakeholders to engage with the government if they too had proposals on such issues. Mr Chetcuti made the case for self-regulation of the construction industry, something he has long been calling for. In particular, the MDA believed that architects and engineers should be made to self-regulate in much the same way medical practitioners abided by a set of rules. Should they violate the rules, they would appear before the Medical Council, Mr Chetcuti noted. Dr Muscat said he agreed in principle, adding self-regulation could not mean deregulation. The Chamber of Architects and Civil Engineers said the profession has been self-regulated since 1919, reinforced by the establishment of the Chamber in 1920. The profession has a Code of Professional Conduct, which all warrant holders were duty-bound to adhere to. Reports of misconduct were taken very seriously, duly investigated, and, depending on the case, could result in the suspension or revocation of a warrant. Developers and contractors, on the other hand, were not regulated at all. The chamber welcomed the MDA's stance in favour of regulation of the industry, which position was aligned with that which the chamber had been advocating for many years. The industry was one of the pillars of the economy, and as such it was essential that the highest standards were demanded and achieved.